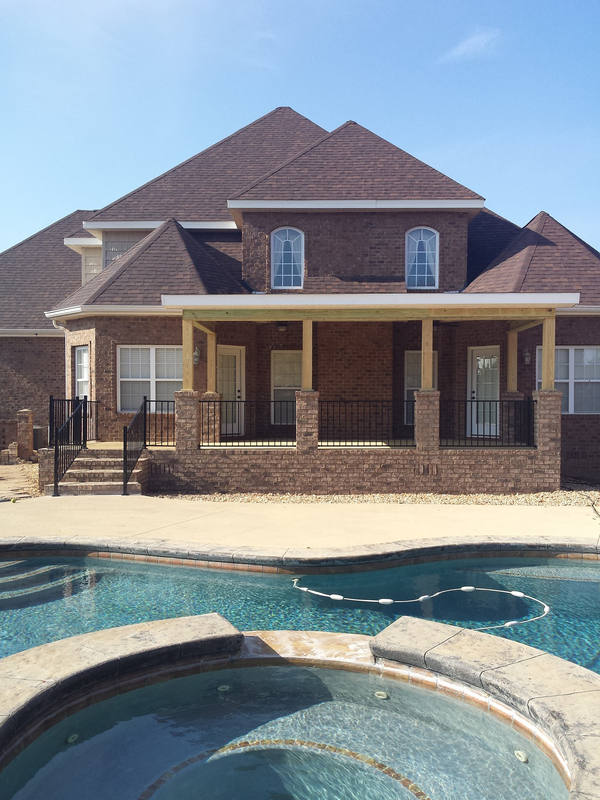 This Kathleen, GA, Poolside Porch and Deck Combo in Magnolia Hills is Pure Perfection! This Kathleen, GA, deck and porch in the beautiful Magnolia Hills neighborhood takes outdoor living enjoyment to a whole new level! When these homeowners reached out to Archadeck of Central Georgia, they had a covered porch in mind to work in unison with their open-air spaces. With a luxurious backyard area that is already home a spa, pool and pool surround, having the added protection of a covered porch just felt like a perfect fit! 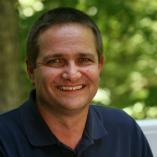 We arrived at the home to find an existing deck. Following a thorough inspection of the deck, we deemed that the deck and its substructure was not built in a manner which would facilitate the addition of a roof. So, we tore down the existing deck and began the covered porch and deck combination space from scratch. 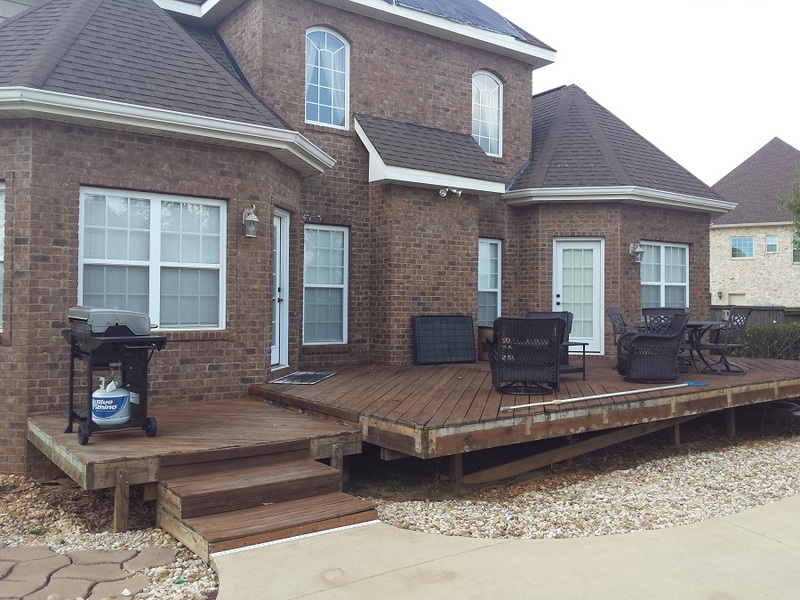 Archadeck of Central GA began the project by installing the necessary footings and substructure conducive to the county’s code requirements. Houston County, GA, requires a continuous footing according to code for every roofed structure or roofed outdoor living project. 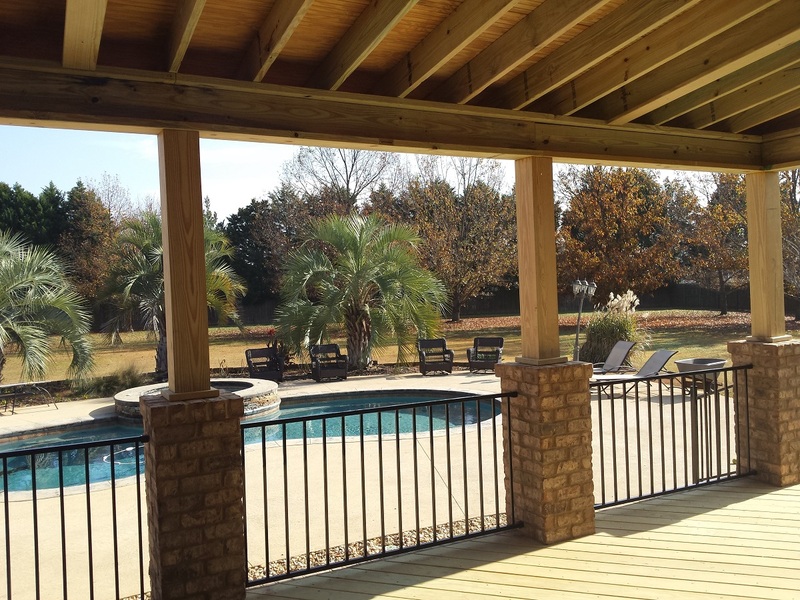 The new deck and open porch feature Cox 8 × 8 Pressure Treated Laminated Timber Columns with brick columns which match the masonry used on the existing home. Curved brick steps were built to add a gentle descent to the pool surround below. We also matched the soffit and fascia of the new porch to that of the home, as well..
We used PT wood decking for the flooring on both the deck and porch portion of the project. 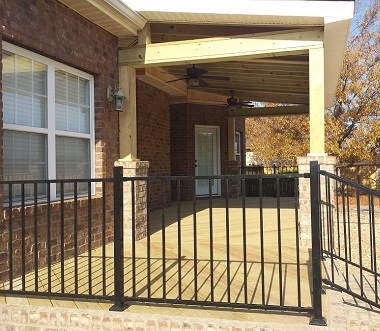 The natural wood decking is accented by black Fortress iron railing for contrast. To keep outdoor items out of sight we also installed a trap door under the deck. The interior of the porch features an open rafter ceiling with beadboard. Archadeck of Central GA had the electrical box mounted on the outside of the porch in order to facilitate a wall-mounted TV and to keep the wires hidden. If you are ready to add pure perfection to your outdoor living space and years of enjoyment, contact Archadeck of Central Georgia.You can reach us by phone at (478) 745 – 2000 or via email at [email protected].